Orange HOWELL’s latest custom commission is a brilliant union of modern American craftsmanship and historic inspiration. Frank Lloyd Wright’s distinct architectural style inspired the form, which is centered by a sparkling medallion of the D.A.R. seal highlighted in sapphire blue Swarovski crystal accents. The D.A.R. 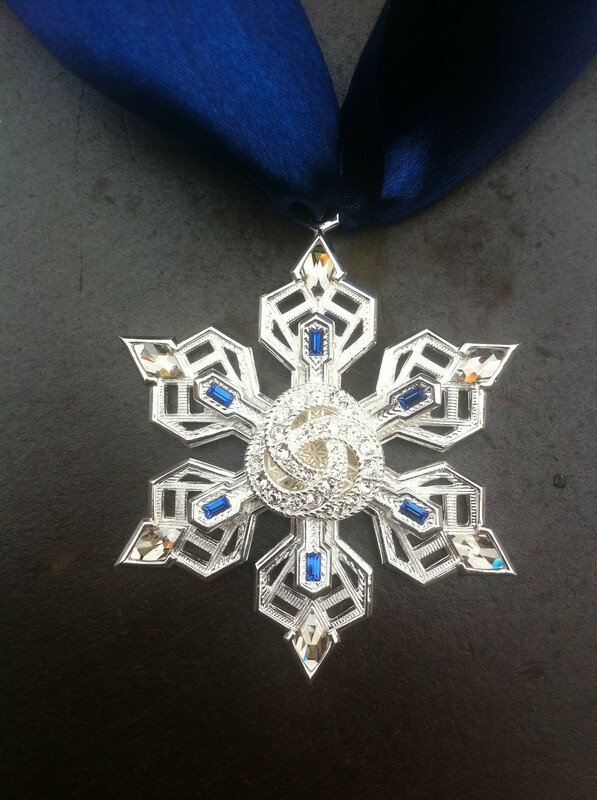 Snowflake Ornament celebrates America’s Founding Mothers, and Orange HOWELL’s owner, Paula Zanger’s own family heritage. Orange Howell is the given name of her great, great grandfather, son of Fanny Bedwell and Hilary Howell. Paula is a direct descendant (on her Mother’s side), of John Howland a passenger and signer of Mayflower Compact who helped found Plymouth Colony, Robert Bedwell one of the six delegates to the first meeting of the Pennsylvania Assembly in Philadelphia in 1703, and American Revolutionary Patriots, Benjamin Barnard and Barachiah Macy. June 26 - 30 The annual convention of NSDAR 1776 D St. Washington D.C.
Fitch's Corner 2010 Horse Trials in Millbrook, NY. July summer weekend. Bill Cunningham always captures the charming crowd. So kind to raise money for the Millbrook Fire Department.